“Repeal and Replace” is currently all the rage in Washington, D.C. As well it should be. As the newly ensconced Republican trinity (President, Senate and House) work to excavate We the People from the awfulness that is Obamacare. But there is a whole lot more government awfulness than just Obamacare. And there is a whole lot more government awfulness than just in Washington. There are fifty states that have state, county, municipality and city governments - and nigh all of them are doing things that they should be stopped from doing. “Repeal and Replace” should be a nationwide, multi-level-government phenomenon. Think New York can replace that much juice with wind and solar? While elsewhere ramping up the mandated wind and solar percentages on top of this ridiculousness? If you're just that delusional - perhaps Cuomo, Inc. is hiring. Or maybe Greenpeace. What we do know is that neither wind, solar or bureaucratic hot air have proven to be viable energy sources. What a giant government mess all of this is eminently deserving of repeal. 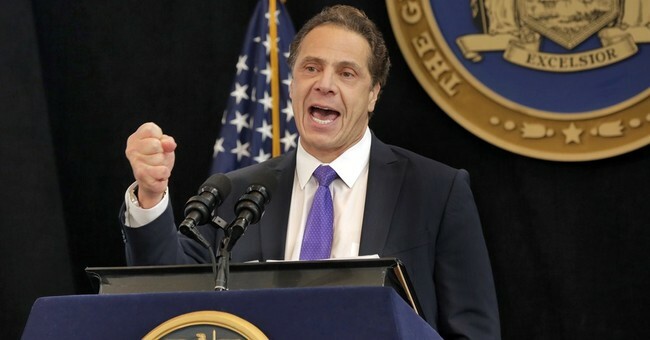 The entirety of Cuomo, Inc.’s government-and-tax-expansion-plan should be undone and reversed. And with what, then, to replace it? For one thing, the state’s legislature should pass actual legislation that returns these sorts of things to the state’s legislature - where they belong. Law that clearly delineates the roles for every executive branch agency - demarcated lines and tasks, with absolutely zero bureaucrat wiggle room. No more flights of regulatory fancy on the part of this agency or that - totally untethered to any actual statute. For another thing, there is no way any executive branch should be able to raise taxes all by itself. Sadly, in governments all over the place - executive branches are. New York’s legislature should pass actual legislation that forbids any executive branch agency from unilaterally raising taxes. The power of the purse - both spending and taxing - belongs with the legislature. And there is more New York can do. New York’s elected officials are apparently working thereon. In the meantime, Cuomo, Inc. should completely repeal its energy inanity. While the state’s elected representatives work to replace it with legislation that ensures inanity of this sort can never happen again.